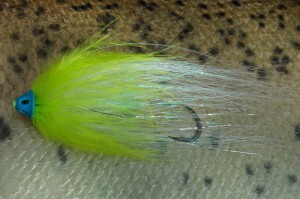 Since the advent of the first tube flies, around 1945 in England, tube flies have been slowly gaining a place in the boxes of fly fishermen around the world, not only for salmon fishing, but also have expanded to the most diverse species. 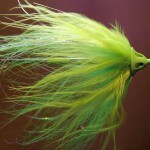 This slow invasion and acceptance among the fishermen is due to the slow discovery that each fisherman makes on the great advantages that the tube flies provide, among which the possibility to change the hook in case of is in bad condition or when the species to Fishing or the size of the possible catch requires it, the possibility of using short hooks and in this way to minimize the possibilities of disengagement during the fight, the possibility that the fly does not break during the fight in the case of fish that usually do it … but the most remarkable and the one that led Mrs. Morawski to the idea of a salmon-fly tube or to the famous Richard Waddington to develop his particular tying style that would be popularized as Waddington flies, was the need to separate the characteristics of the Fly to the hook, thus opening up a whole new horizon in the development of flies that would no longer depend on size, length, weight and other characteristics of his prison called “HOOk”, since this is completely relegated from the structure of the tied. 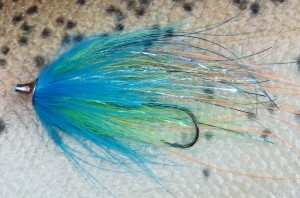 For what has been said until now it is understood why in the last decades has used tube flies as a solution to certain fishing techniques, today the use of tube flies for many marine species, for anadromous species and for large freshwater predators is common. 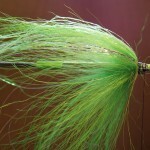 In this article I present a fly born of a necessity … that of tempting a sea colossus that enters every year in many rivers of Chile and Argentina, famous not only for its great size and sporting potential but also for the difficulty that presents Catching him with a fly equipment, we’re talking about his lordship the Salmon King, King Salmon or Chinook. 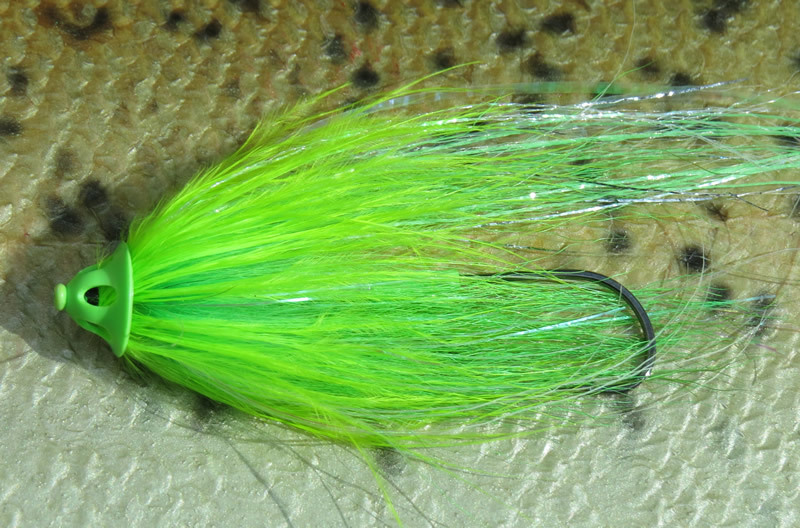 The Bifu is a fly that has a few years but is by far the most result gave us with these difficult fish … here I present it in the 5 models that I consider indispensable if we want to have one of these marvels at the end of our line. Tube: Pro Tube Flexitube green. Body: Pro Tube Flexi body silver. First necklace: Bifu brush white. Brightness: Polar Flash silver / pearl and Lateral Scale. Head: Pro Tube soft sonic disc blue. Hook: TMC 600 SP # 1 or # 2. Tube: Pro Tube Flexitube blue. First necklace: Bifu brush chartrouse. 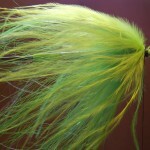 Brightness: Polar Flash plat./perlado, Glo in the Dark Flashabou orange and Lateral Scale. Second necklace: Marabu King Fisher Blue. Head: Pro Tube silver cone disc. Tube: Pro Tube Flexitube orange. First necklace: Bifu brush orange. 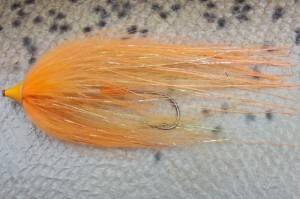 Brightness: Polar Flash silver / pearl, Glo in the Dark Flashabou orange and Lateral Scale. Head: Pro Tube cone disc orange. Tube: Pro Tube Flexitube black. First necklace: Bifu brush black. Head: Pro Tube soft cone disc red. 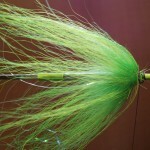 Since the appearance of the first flies tubes tied in a rustic way, many fly tyers in the world have made contributions in their evolution, among modern methods, the Pro Tube system stands out for its ease in tying, the great Diversity that it proposes and the universal that is its application, for this is that the Bifu is mounted on this excellent system of tubes. 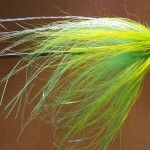 In later deliveries we will present tube flies for various fishing techniques applicable with species such as trout, dorado and tararira among others. 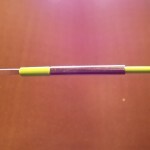 We place in the Pro Tube Flexi Needle, a Pro Tube Flexitube. We put the Pro Tube Flexi Body in the tube. We attach at the end of the Flexi Body the Bifu Brush. We hold the Polar Flash and the Flashabou Glow in The Dark. 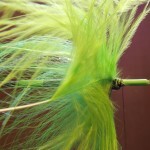 We tie the marabou pen from the point. 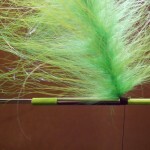 Roll the marabou and put the Lateral Scale. We inserted a Pro Tube Soft Sonic Disc. 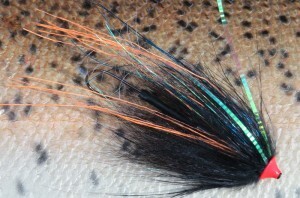 This entry was posted in Chinook, Flies and tagged chinook, fly, pro sportfisher, ruben martin, salmon king, tube system. Bookmark the permalink.